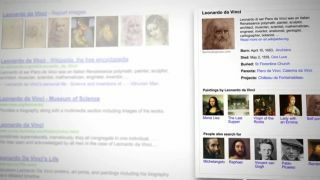 Google is adding another layer to its transparency, as the search giant has begun sharing copyright removal data. The data is derived from copyright holders requesting Google to remove search results linking to infringing content. As part of the Transparency Report, Google will now share which firms make removal requests, how often, and against which domains. Google is currently only reporting copyright removal requests from its web search, meaning that the numbers do not currently include removal requests made to the Google-owned services Youtube and Blogger. Search accounts for more than 95 percent of Google's copyright removals, which averages more than 250,000 removal requests each week. And that number is growing. In fact, last month nearly 1.2 million removal requests were made on behalf of more than 1,000 copyright holders. "Transparency is a crucial element to making this system work well," Google said. The data also provides unique insight into the domains that are accused of possessing copyrighted content. In the past month the domain filestube.com earned the highest number of URLs removed from Google searches with 41,307 links pulled due to removal requests from 240 copyright owners. However, those copyright infringing links account for less than 0.1 percent of the URLs that belong to filestube.com. Of course, these statistics can be interpreted a number of ways. For example, the growing number of reported infringements could be seen as the result of higher piracy rates, improved ability for copyright holders to find infringements, or a combination of both. Google hopes that the data can help to inform policies on internet piracy, such as the SOPA and PIPA bills that were proposed and vehemently opposed by Google earlier this year. "We look forward to making more improvements to our Transparency Report - offering copyright owners, Internet users, policymakers and website owners the data they need to see and understand how removal requests from both governments and private parties affect our results in Search."